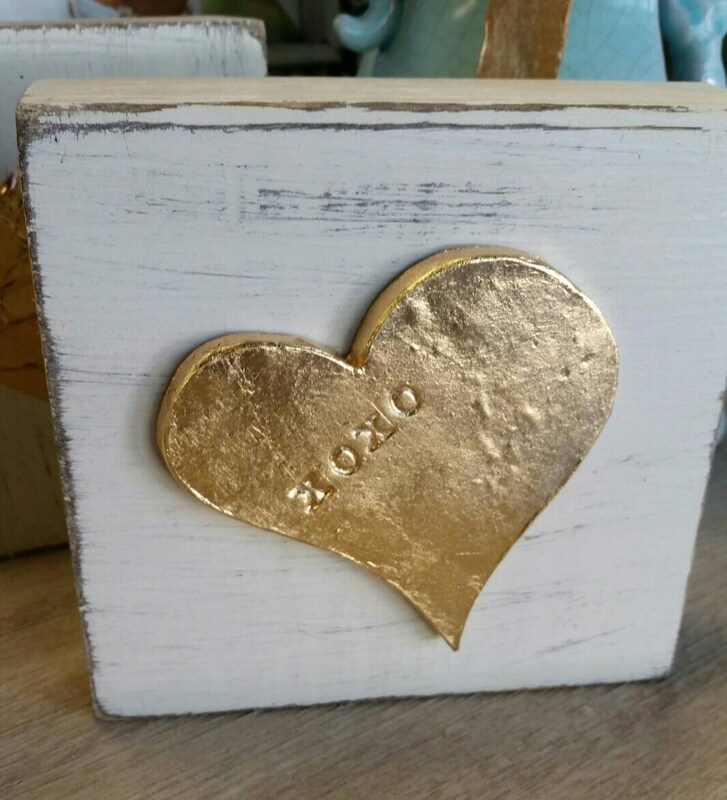 Hearts make a stunning addition to any home. 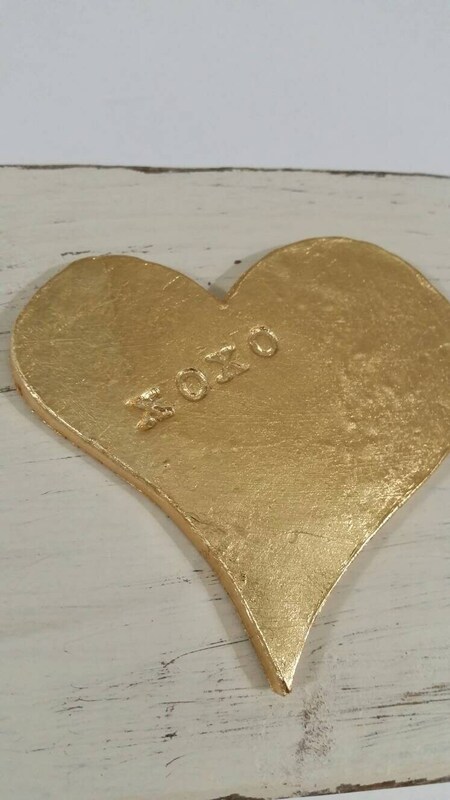 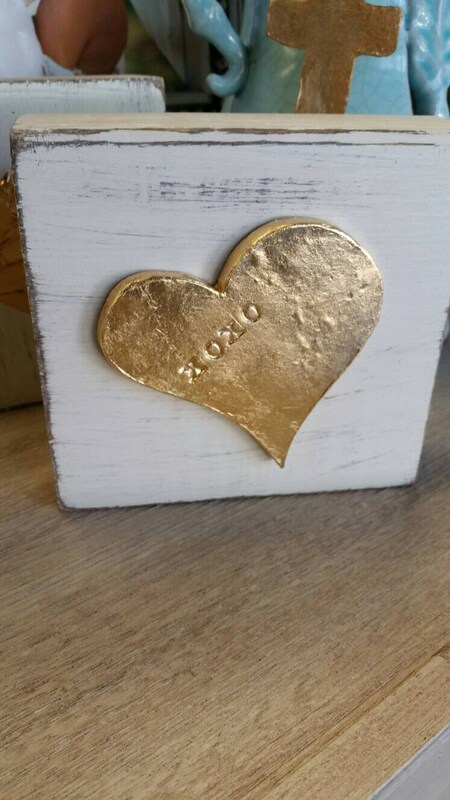 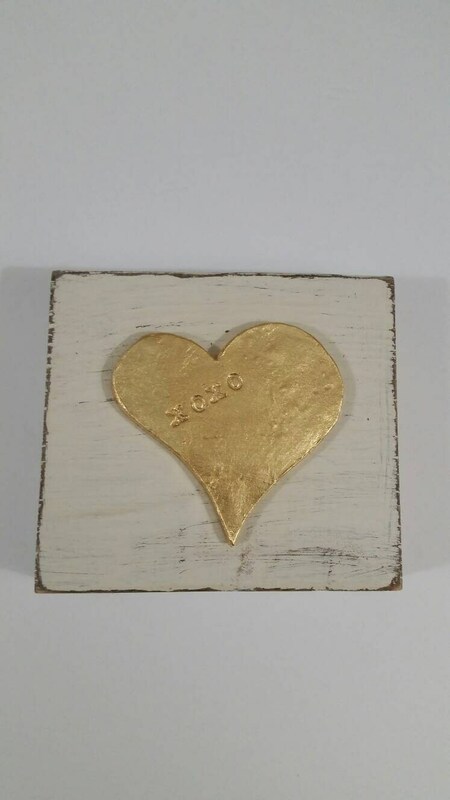 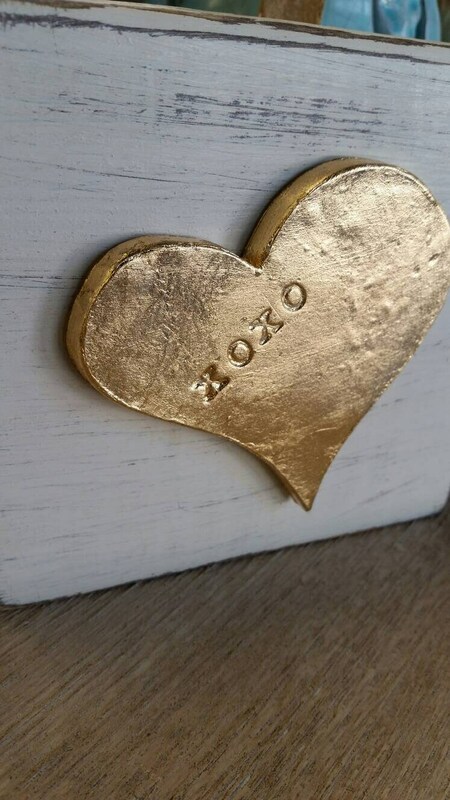 An elegant way to display your love, these can be placed on a shelf, lay on a table or stack of books or hang on a wall. 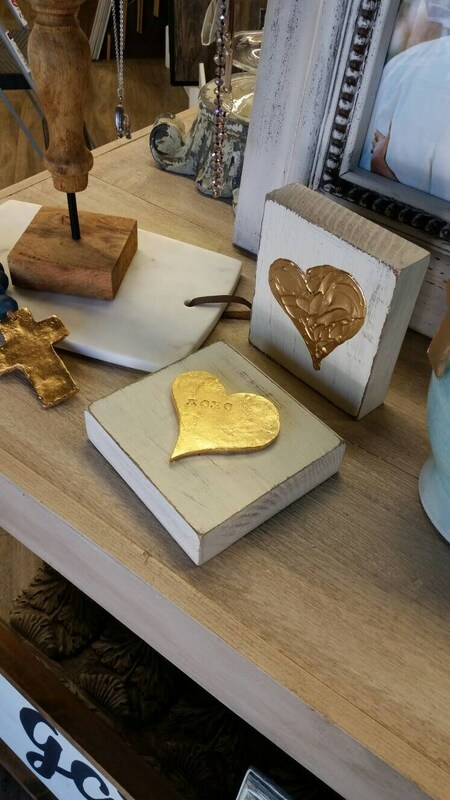 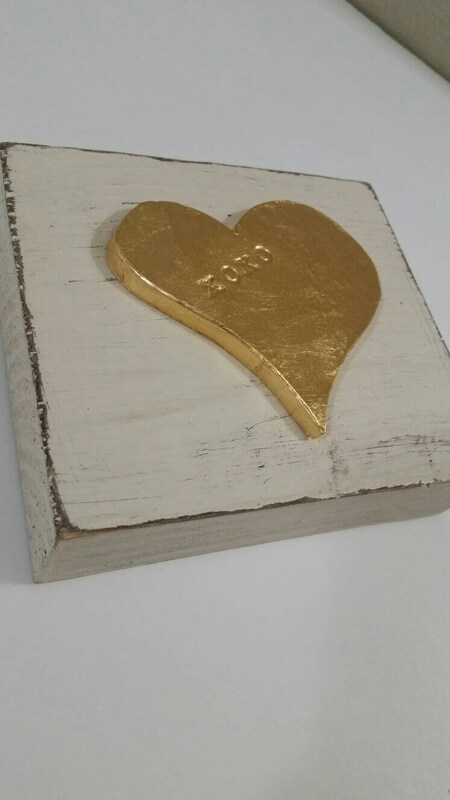 Each wooden piece is hand painted with real gold leaf added. 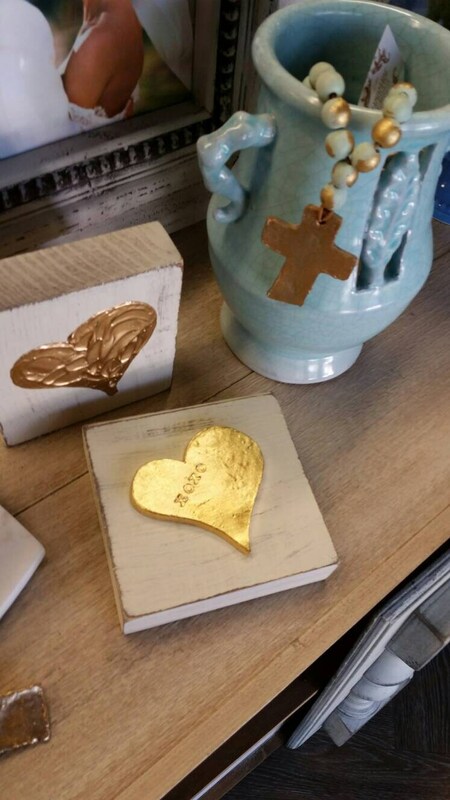 These would be perfect as gifts. 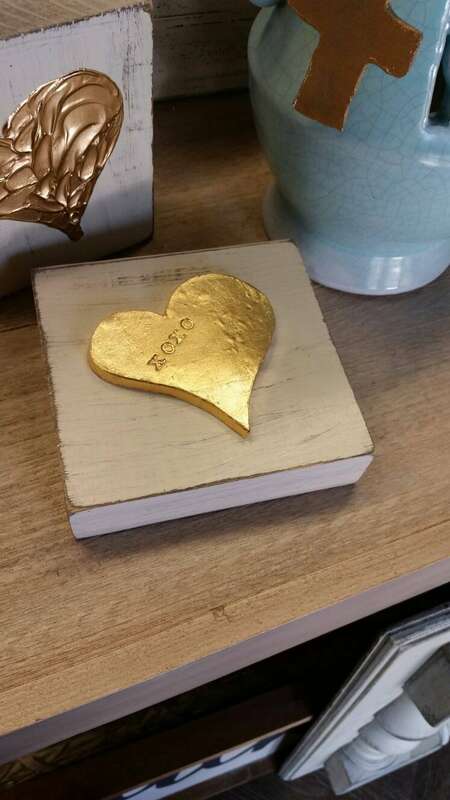 Each piece measures 6" high x 6" wide x 1 1/2" deep.